Shasta Lake is a fisherman’s dream. With its four large arms (Pit River, Squaw Creek, McCloud River, and Sacramento River) it’s like having four different lakes from which to fish. When full its 365 mile shoreline, comprised of everything from steep and rocky banks to coves of wooded flats, provides fishermen with plenty of area to search for the abundant population of fish that inhabit the lake. Also, at a maximum depth of 517ft. and 29,500 surface acres, there’s a tremendous amount of water inhabiting a variety of fish including: bass, trout and salmon, catfish, sturgeon, crappie, bluegill, and others. 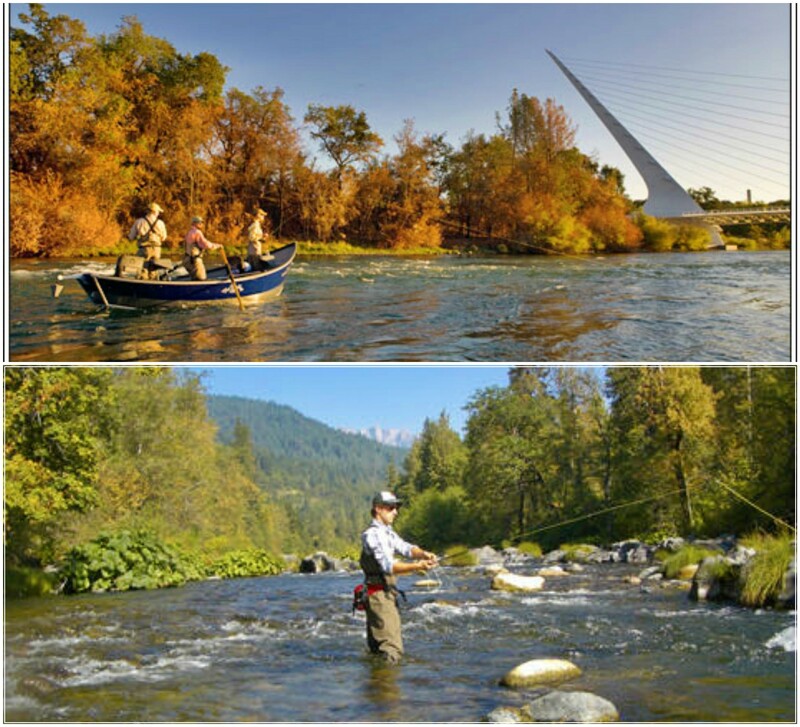 Redding’s The Fly Shop, established in 1978, is the largest commercial fly distributor and the largest fly fishing business in the world. As can be expected, it is an excellent source of up-to-date fishing conditions, guides and supplies for any avid or rookie fisherman. In addition to its expert advice and their high quality supplies, they also offer Guide Service by professionally trained, local experts. Fishing regulations change annually; please check in the California Sport Fishing Regulations for current changes*. Trout and salmon: Open season all year. Limit: five trout or salmon in combination. Bass: Open season all year. Limit: five bass. Minimum length: twelve inches. Other species: Other species of fish may be taken in any number and at any time of the year by angling. Sturgeon: Open season all year. Limit: one. Minimum size: forty inches total length.